While behind the wheel, it is vital to remain aware of your surroundings and what you are doing at all times. Even the smallest instances of negligence can lead to serious accidents. A car accident can be serious and cause catastrophic injuries that impact victims’ lives for many years. We must all do our very best to help prevent accidents from happening. On June 4, Massachusetts State Police received information about a vehicle accident that occurred on Route 3 southbound near Exit 5: College Pond Road in Plymouth. The accident was reported to police around 4:00 a.m., and emergency personnel arrived on the scene shortly afterwards. Upon arrival, authorities closed the left and right travel lane while the scene was cleared. One victim was injured, and medical care was given to this individual. The extent of their injuries is still under review. However, no fatalities were reported. We all have a responsibility to keep our roads safe. If you ever drive a car, it is your duty to remain attentive and follow the rules of the road at all times. Negligent driving is no light matter, and it can lead to deadly accidents. Victims and families who are impacted in these accidents have a right to seek compensation and assistance for what happened. As committed members of the community, we are passionate about raising awareness of the importance of safe driving. 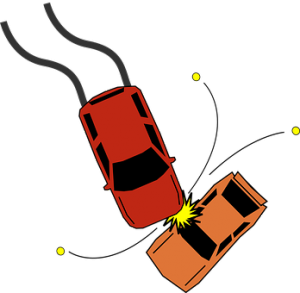 At the Law Offices of Jeffrey S. Glassman, we see the tragic impacts of car accidents first-hand. As such, we want to keep our roads safe and prevent accidents from happening. However, we know that accidents do occur, and, when they do, we are also here to help victims get the help they need so they can focus on moving forward with their lives.